Fantasy Battler Pack 1| RPG Maker | Create Your Own Game! 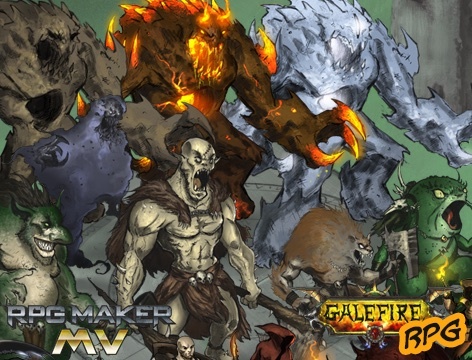 Created in Michael Rookard's signature painted style, Fantasy Battler Pack1 features new enemies that will bring your fantasy battles to life! 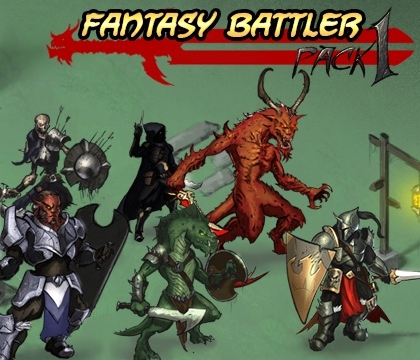 This pack focuses on battlers for fantasy worlds with monsters like a giant spider, hobgoblin or ogre, and helpful characters like a hero ranger, hero warrior and more. Inspired by a variety of modern video games and comic books, this pack features a sleek design and concepts to inspire your game development. Beautifully crafted hand-painted style battlers such as assasin, drow, ice / magma golem, hero warrior and more!